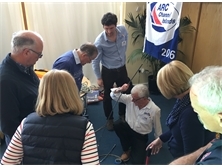 World Cruising Club have announced that the 2019 edition of the ARC Channel Islands rally will be postponed until August 2020. 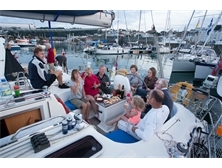 The cross-channel cruising rally will now be held on similar dates in 2020 on the same route incorporating Cherbourg, Guernsey, Jersey and Alderney. 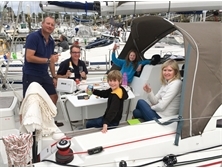 Full details of the route will be available for the Southampton Boat Show in September 2019. By delaying the rally until next year, World Cruising Club aim to build entry numbers for participation, and to run the rally in alternate years to the biennial ARC Baltic rally.... Click here for more info..
An early start again for the boats on Thursday morning, to ensure they had plenty on time to get to the Alderney Race on time. 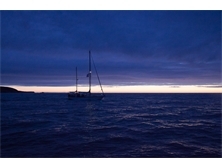 With the wind... Click here for more info..
After a Skippers’ Briefing on Monday evening rally crews were all ready for their crossing to Jersey yesterday morning. With Westerly winds... Click here for more info.. 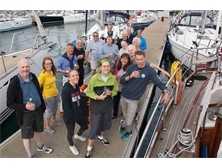 The programme in Guernsey started sedately with a free day for the participants to explore at their own pace. 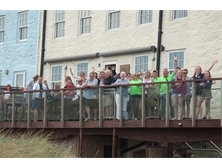 This was welcomed after an... Click here for more info.. 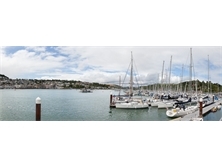 It was an early start for the fleet as they slipped lines at 0500 and headed out of Dart Harbour to make the most of daylight for their... Click here for more info.. 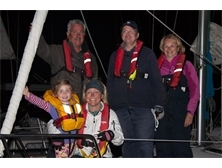 The first ARC Channel Islands South West Edition, in association with Hamble School of Yachting and the RYA got off to an excellent start as... Click here for more info.. 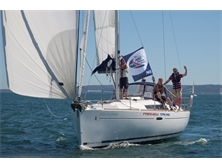 Following two successful editions ARC Channel Islands, entries are now open for this summer’s rally which features a new route for 2018 with... Click here for more info..
On Thursday afternoon the rally departed for Alderney, marking the last stop in the Channel Islands, before returning to Gosport.Conditions... Click here for more info..
After a relaxing couple of days in Cherbourg, the rally awoke Monday morning feeling refreshed and relaxed.The sea state resembled a mill... Click here for more info..
After two days of preparation at Haslar Marina the time had come for this year’s participants to cross the channel to Cherbourg.Tides and... Click here for more info.. 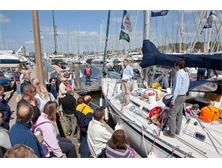 This year’s ARC Channel Islands rally, in association with Hamble School of Yachting and the RYA got off to a bright start with blue skies... Click here for more info..
Last weekend World Cruising Club welcomed this year’s ARC Channel Islands participants and prospective Channel crossers to a beautifully... Click here for more info..
Bluewater Weekend: 20 and 21 May 2017, Lymington UKMore than just a boat show, more than a seminar, and more than simply a cruiser... Click here for more info.. 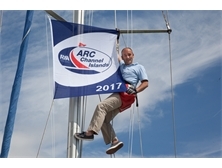 Following the successful first edition ARC Channel Islands last summer, we are pleased to announce that entries are now open for ARC Channel... Click here for more info.. 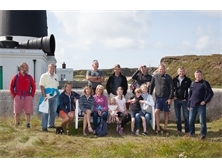 Following the successful first edition ARC Channel Islands this August, we are pleased to announce that the rally will sail again in August... Click here for more info..
On departing Alderney the fleet said goodbye to two boats, Sophisticated Lady and Magic Moments, who were making their way back to their... Click here for more info..
Today saw the change to the new itinerary. 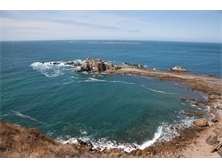 The sail from Guernsey to Alderney was a slow one, with very light winds most of the fleet... Click here for more info..
After a quick stop in Cherbourg, the fleet departed towards Guernsey “blessed with blue skies, flat water, epic sunshine” (Midnight... Click here for more info..
After two days of waiting there was an air of excitement dockside at the Haslar Marina as crews prepared for their sunrise departure from... Click here for more info..